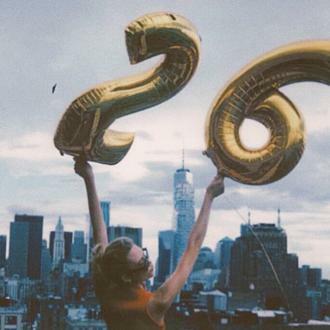 Karlie Kloss has admitted she has ''never felt more happy'' in her ''own skin'' as she turned 26 on Friday (03.08.18). Karlie Kloss admitted she has ''never felt more happy in my own skin'' as she celebrated her 26th birthday on Friday (03.08.18). The stunning model told her 5.98 million followers that the past year had been the best of her life and that she is ''excited'' about the future, which will see her tie the knot with her fiancee Joshua Kushner. The blonde beauty and her beau have been dating for six years, and finally took the next step in their relationship recently when Joshua got down on one knee to ask the her to marry him. The post was accompanied by a ring emoji, signalling the pair had gotten engaged. According to sources, Joshua proposed to the Kode with Klossy founder earlier that month during a romantic getaway to New York, and the pair were believed to be ''overjoyed'' with happiness. Last year, to celebrate five years together, Karlie posted a sweet tribute to her long-time partner on social media.